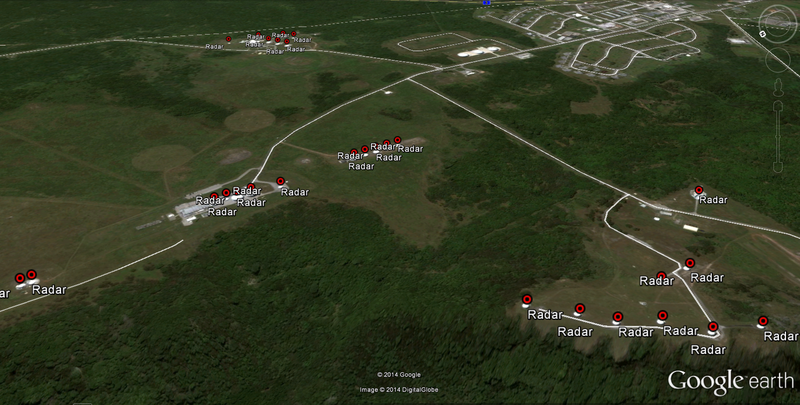 25,000,000 +/- pulsed watts of high power, high gain microwave radars on Guam. 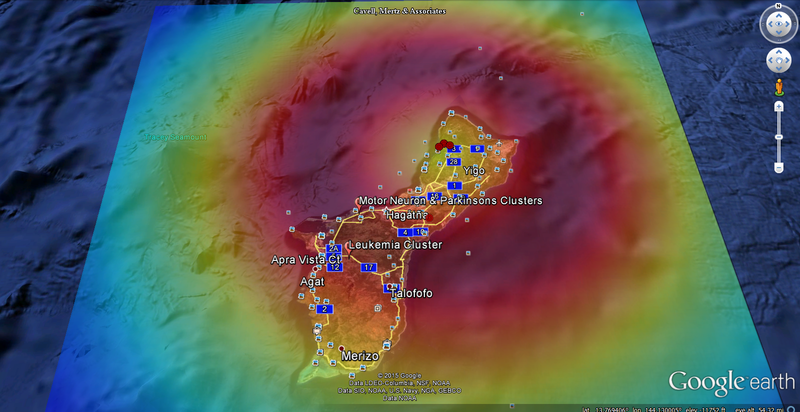 The atmosphere scatters much of the radiation back to the surrounding area. Back when I researched the excessive motor neuron and parkinsons disease on Guam I forgot to check for Leukemia rates. “Paul Spracklen leaned down and touched his daughter’s hair, thick and blond, and long enough to drape past the middle of her back. Spracklen looked at his daughter blankly. “What do you mean?” he asked. For a moment, Spracklen just stared at his daughter as they stood in her room in the children’s ward of Balboa Military Hospital in San Diego. Spracklen sat down behind his daughter and began pulling the brush through her hair in careful, tender strokes. His eyes rimmed with tears as hair came out in threads and clumps. He felt shattered by this girl of his whose little body was waging a fierce war with the leukemia inside her. This girl who, facing a likely death, still managed to think about some other kid down the road who might need a wig. In March 2002, when Caitlin was first diagnosed with leukemia — cancer of the blood — the Spracklens thought of it as a horrible, but isolated, incident. They would soon learn this, tragically, wasn’t the case. In the months following Caitlin’s diagnosis, Spracklen would learn of more than 10 other children who had been diagnosed with leukemia and other rare cancers. Some survived; others did not. What did all those children have in common? They had all lived in military housing areas on Guam. The Spracklens had lived in the Apra Heights military housing complex in Santa Rita from 1998 to 2000 while Spracklen, a lieutenant in the Navy, served on the USS Frank Cable. When his orders changed, the family moved to San Diego, and they were still living there when Caitlin got sick. After Spracklen began to learn about other sick children, he asked the Defense Department’s investigations arm to do a study on the incidence of leukemia among families who had been stationed on Guam. After a prolonged and sometimes arduous effort on Spracklen’s part, the Navy finally released the results of that investigation. In their initial search through the military’s medical databases, the Navy had found some 17 military children whose families had been stationed on Guam and who were later diagnosed with leukemia. However, after looking at the 17 cases more carefully, investigators eliminated all but seven of those children from the study for a variety of reasons, such as their parents were Air Force, not Navy; the diagnosis had been changed; their parents had since retired from the Navy; or a Guam duty station couldn’t be established for some reason. But even with the seven cases retained, the Navy’s Bureau of Medicine and Surgery said the incidence could be defined as a “cancer cluster” because it was higher than the national average. The Navy’s Surgeon General asked the Air Force to do a similar study for Air Force dependents. 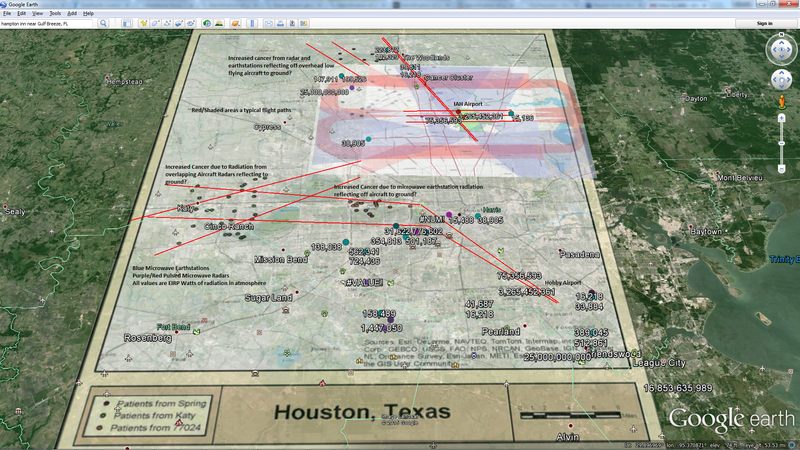 In October 2003, an Air Force office in Texas produced a memorandum on the results of that investigation. The Air Force calculations suggested “that Air Force children on Guam were three times more likely to develop ALL (Acute Lymphocytic Leukemia) than the national average.” However, there were not enough cases included in the study to be statistically significant, the memo concluded. Ask the government where all of that pulsed microwave radiation leaving the radar dishes is going – THEY CAN’T TELL YOU. « What Have We Become?